Researchers are embarking on an £8m project to discover new antibiotics at the bottom of the ocean. A team, led by scientists at Aberdeen University, is hunting for undiscovered chemicals among life which has evolved in deep sea trenches. Prof Marcel Jaspars said the team hoped to find "the next generation" of infection-fighting drugs. England's chief medical officer has warned of an "antibiotic apocalypse" with too few new drugs in the pipeline. Few samples have ever been collected from ocean trenches - deep, narrow valleys in the sea floor that can plunge down to almost 6.8 miles (11km). Yet researchers believe there is great potential for discovering antibiotics in these extreme conditions. Life in these incredibly hostile environments is effectively cut off and has evolved differently in each trench. The international team will use fishing vessels to drop sampling equipment on a reel of cables to the trench bed to collect sediment. Scientists will then attempt to grow unique bacteria and fungi from the sediment which can be extracted and refined to discover new antibiotics. Starting in the autumn with the Atacama Trench in the eastern Pacific Ocean - about 100 miles (161km) off the coast of Chile and Peru - the EU-funded research will also search deep trenches off New Zealand as well waters off the Antarctic. Arctic waters off Norway will also be explored. The inappropriate prescribing of antibiotics - and an over-reliance on the drugs - has led to a rapid increase in resistant bugs and medical experts fear effective antibiotics might soon run out completely. In January, Chief Medical Officer for England, Dame Sally Davies, compared the threat to global warming and said going for a routine operation could become deadly due to the risk of untreatable infection. Project leader Marcel Jaspars, professor of chemistry at the University of Aberdeen, said: "If nothing's done to combat this problem we're going to be back to a 'pre-antibiotic era' in around 10 or 20 years, where bugs and infections that are currently quite simple to treat could be fatal." He said there had not been a "completely new" antibiotic registered since 2003 - "partially because of a lack of interest by drugs companies as antibiotics are not particularly profitable". "The average person uses an antibiotic for only a few weeks and the drug itself only has around a five to 10-year year lifespan so the firms don't see much return on their investment." He said he expected scientists to be working on samples in the laboratory within 18 months and added that, if new treatments were discovered, they could be available within a decade. 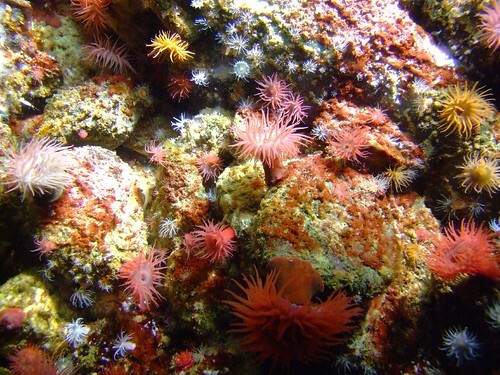 Project co-ordinator Dr Camila Esguerra, from the University of Leuven in Belgium, said: "We'll be testing many unique chemical compounds from these marine samples that have literally never seen the light of day. "We're quite hopeful that we'll find a number of exciting new drug leads.